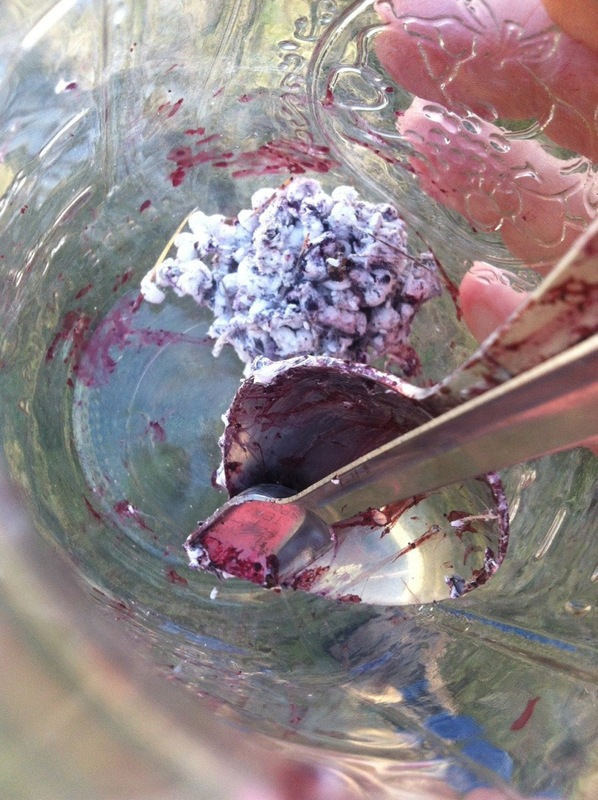 How much color will 4 grams of Cochineal give? 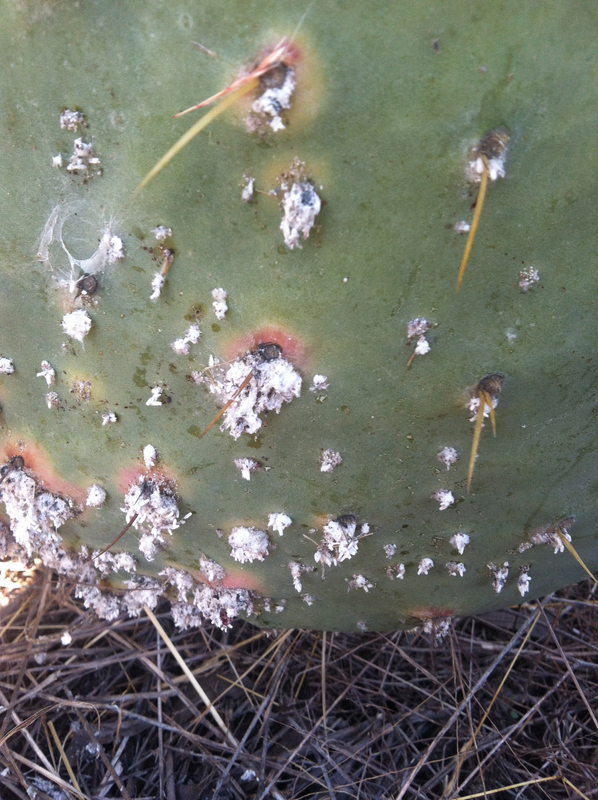 Since it is too dry to collect lichen I’ve been pulling cochineal off of our opuntia cactus. 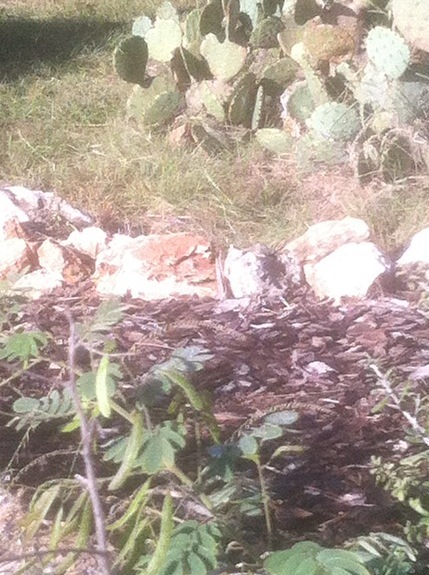 We have prickly pear cactus. 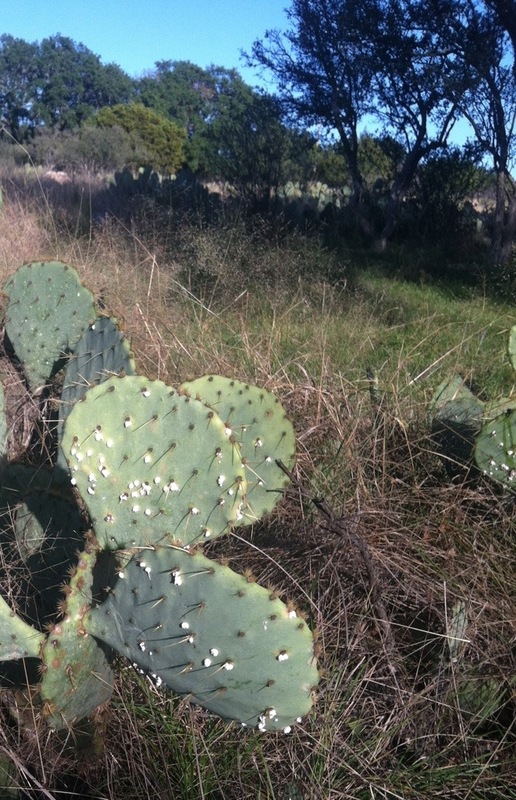 I can’t be specific about the cactus, there are several kinds here in Blanco county, no thorns, thick thorns, long thorns. I need to stare at the cactus more but here’s a link to all the types of cactus. The Hibbitt’s family has given a good start on cactus id. 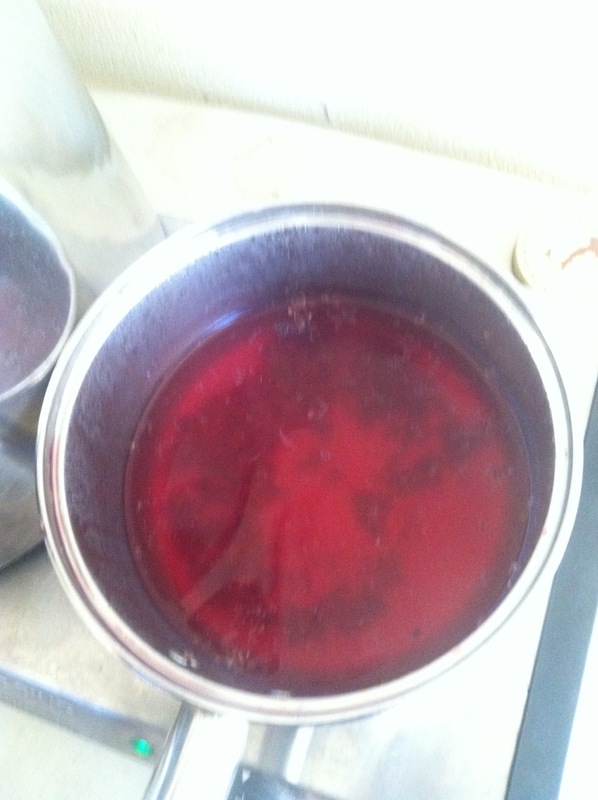 Meanwhile back to the cochineal….I’ve tried to leave cochineal on the cactus so I have some next year. The first harvest yielded about 7 grams. Figuring out how to harvest was quite amusing. I went thru several tools. Harley was very patient during his catwalks, while I scraped cactus, he sniffed for birds. 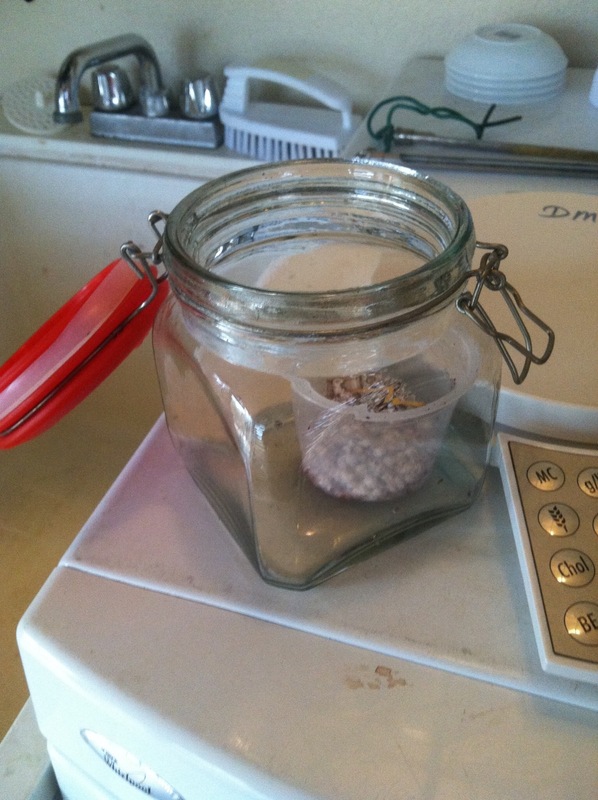 After collecting a small amount I was curious as to how much was “not enough” so I started with 7 grams of fresh cochineal and web for 100 grams of substrate. I used Lana D’Oro Cascade Yarn which in this case is 50% superfine alpaca and 50% wool. Yike, .07% dyestuff for the yarn, would it work? 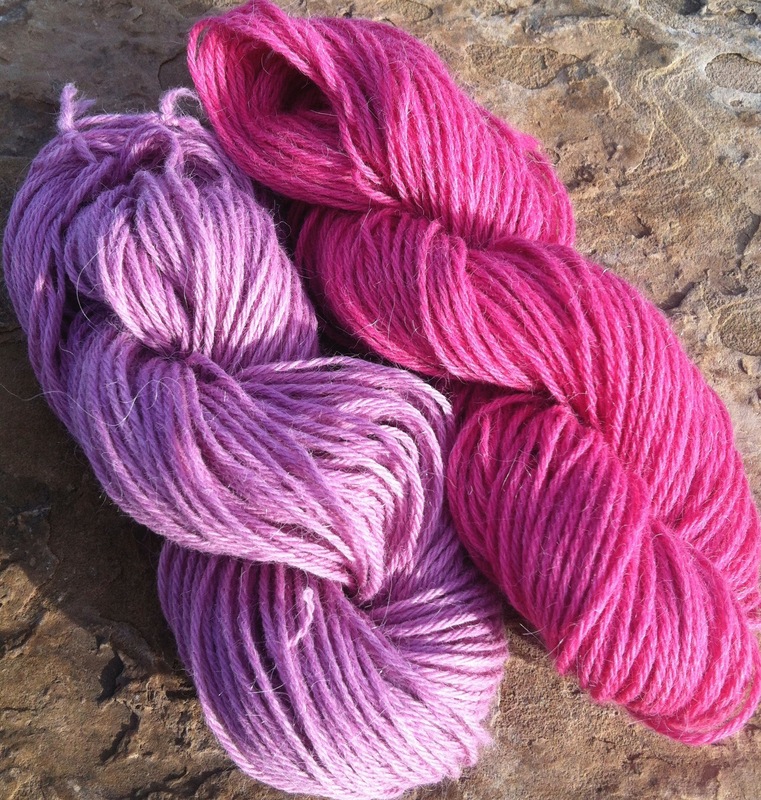 AND would the superfine alpaca portion hold up to the dye pot? Well, first I needed to extract the color. After reading thru some references and listening to suggestions to blog readers I went with my basic path of least resistance and did it the easy way. 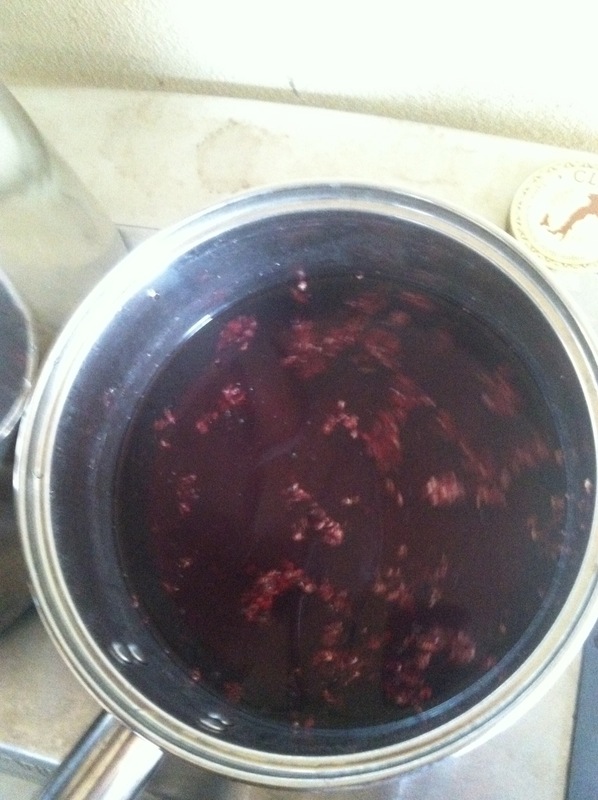 Dump the dyestuff into my rainwater and simmer away. 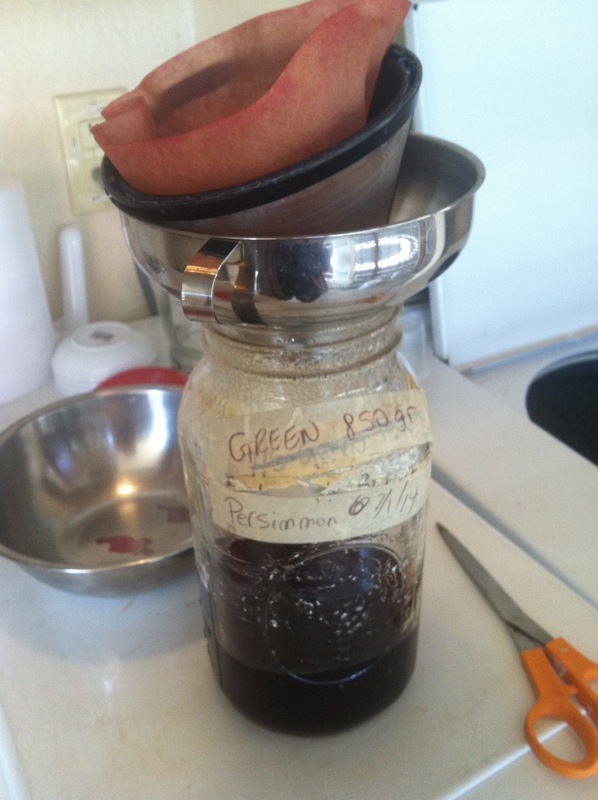 I did about 3 extractions after simmering and sitting and filtering. I went with two skeins so I could see how they deep a color they struck. They were premordanted with alum sulfate. Within 5 minutes I had a nice bright fuschia tone. Wanting to see if I could push it to a different red I added cream of tarter to one of the skeins and it went towards a deeper rose. Now this is impressive for just 7 grams of color. I don’t particularly like pastels so next time I’ll try more fresh cochineal and try a light iron dip to push it darker. 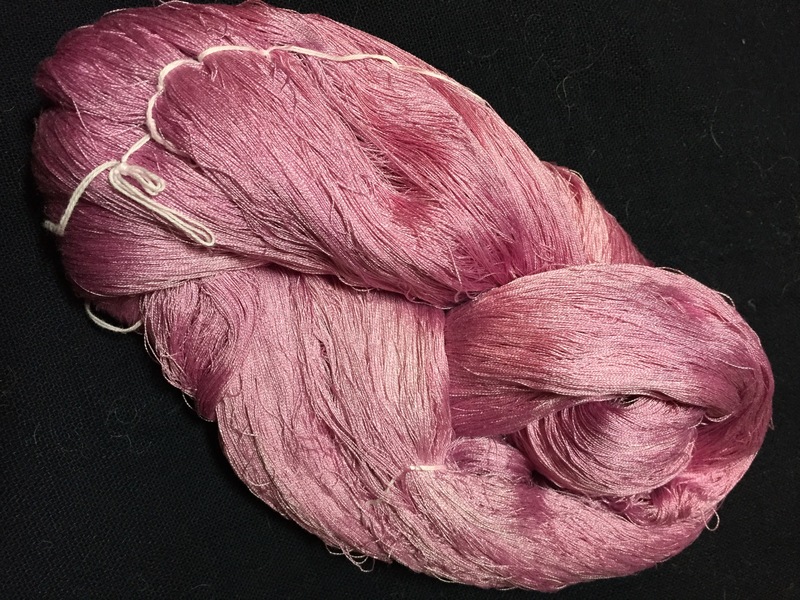 I can always muddy these skeins with iron also. Stay tuned! Ah! 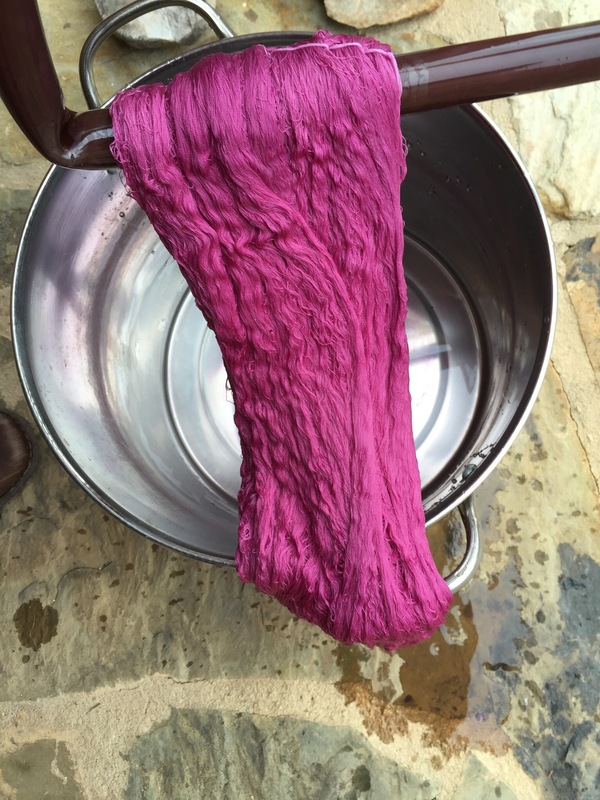 And the alpaca/wool mix held up well to a dye pot. Live is Good! 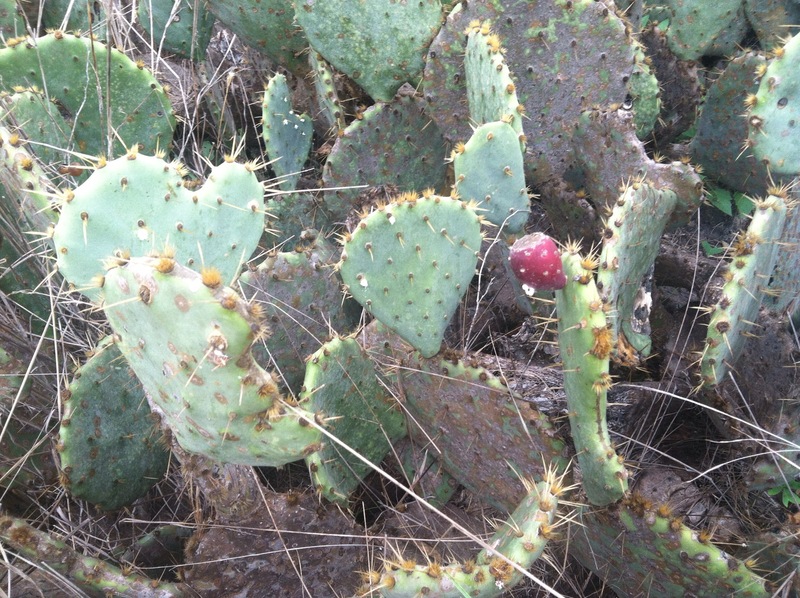 When you are walking a tripod cat one has plenty of time to scrape cochineal off the cactus. I collected about 4 grams the first pass. We’ll get a couple more days of scraping and then see how much red I can pull. 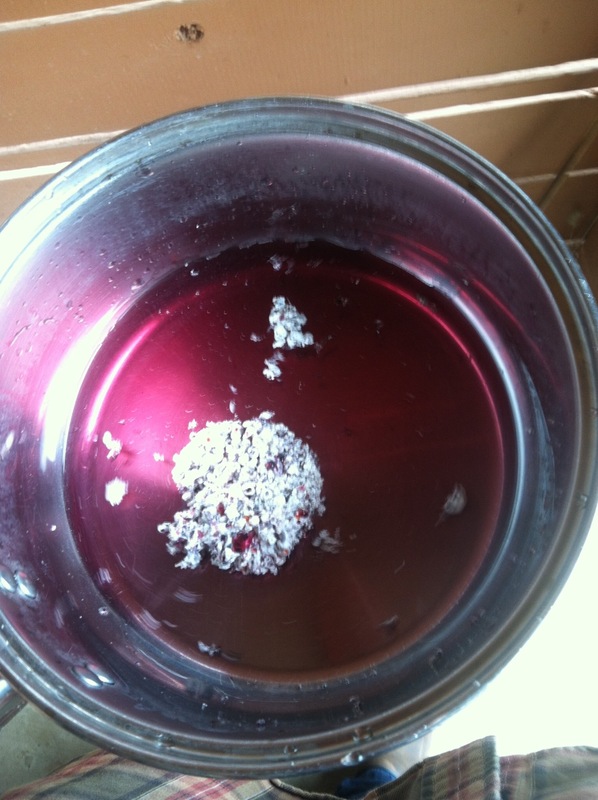 The question of the day is it an oxymoron to wish one had their computer glasses when scraping cochineal? The real question is how to filter the white webbing out of the dye bath.